Relax and enjoy the last of our educational wine evenings, hosted by Education Manager Katrina, who will transport you to a different wine producing country or theme every month. 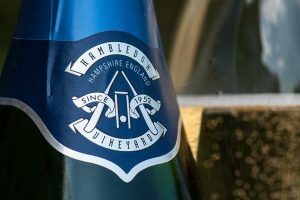 We start with a glass of our finest Hambledon fizz before tasting a minimum of four wines paired with a selection of light bites, either typical of the wine country we are focusing on or local to Hampshire. For those who want to learn more after the tasting, there is also the opportunity to have a tour of our state-of-the-art, gravity-fed winery. We look at the versatility and delights of still English wine, from Cornwall, Hampshire, Sussex and Kent. Paired with fish pie and sticky toffee pudding this is a tasting not to be missed!